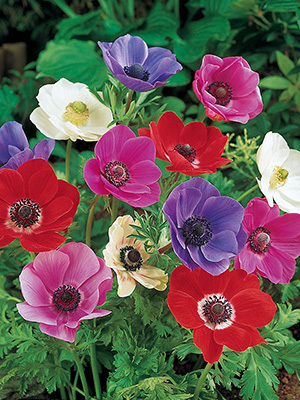 De Caen anemones are the single flowering strain. Top mixture of pink, white, red, blue and bi-colours. This mix is in the larger 4/5 grade.